Posted in: 1 Pageant Pages, 2 Shout-out-Looks. 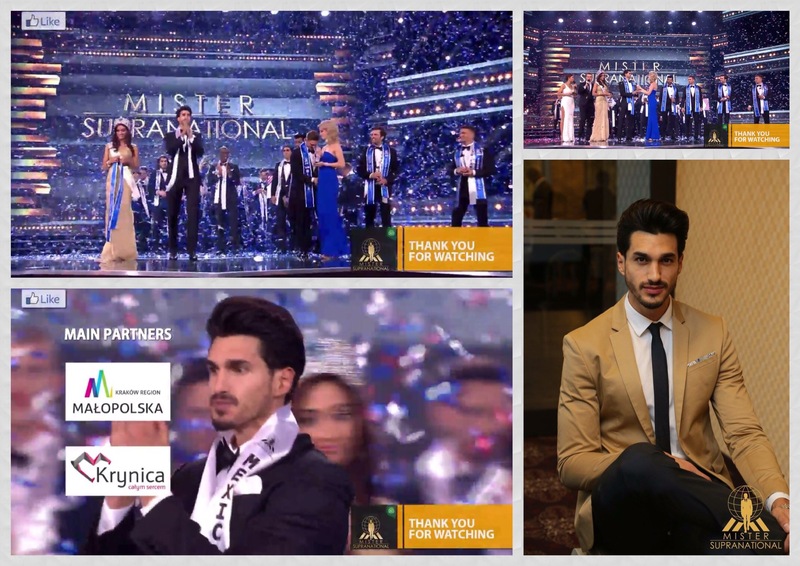 Tagged: AR dela Serna, Bruno Vanin, Catalin Brinza, Diego Garcy, Jitesh Thakur, Johnny Gaspart, Miss Supranational 2016, Mister Supranational 2016. 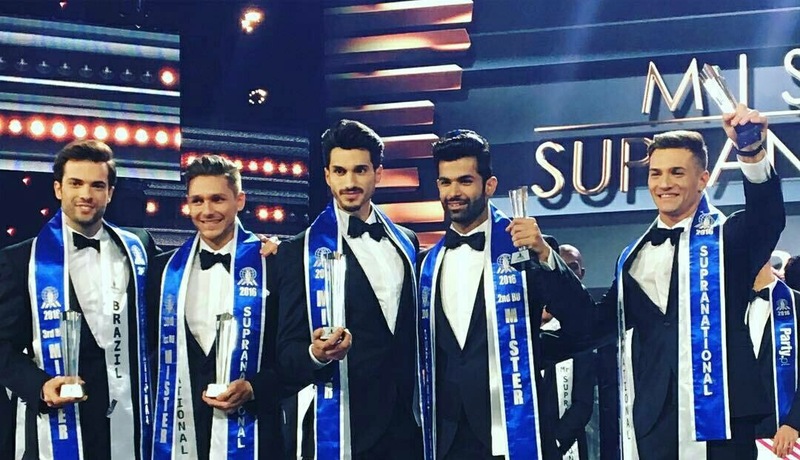 Diego Garcy of Mexico was named the very first Mister Supranational in the inaugural staging of the male competition a day after the finals of Miss Supranational 2016. His court includes 1st Runner-Up Johnny Gaspart of Belarus, followed by 2nd Runner-Up Jitesh Thakur of India. 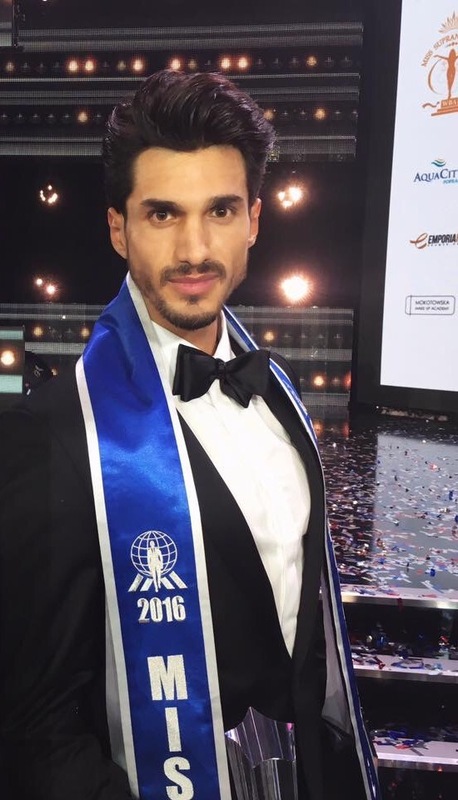 Bruno Vanin of Brazil got 3rd Runner-Up, with Catalin Brinza of Romania completing the Top 5 as 4th Runner-Up. 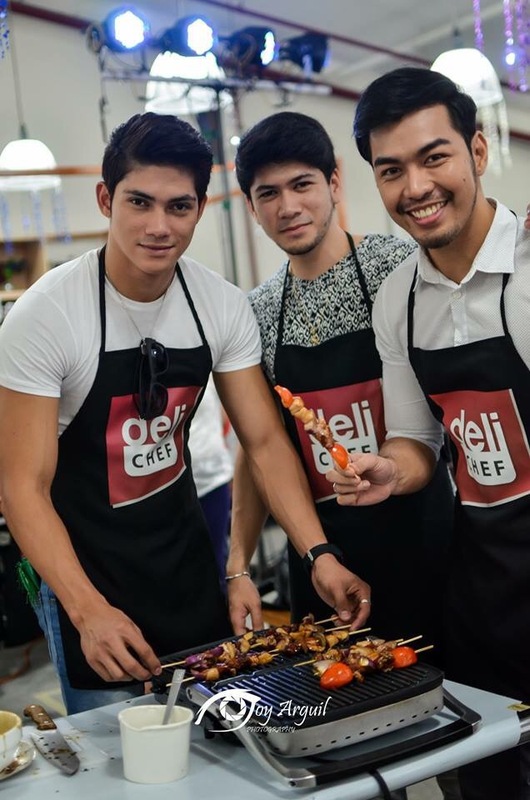 Mister Philippines AR dela Serna made it to the Top 20, the first cut of the finals. Posted in: 1 Pageant Pages, 2 Shout-out-Looks. 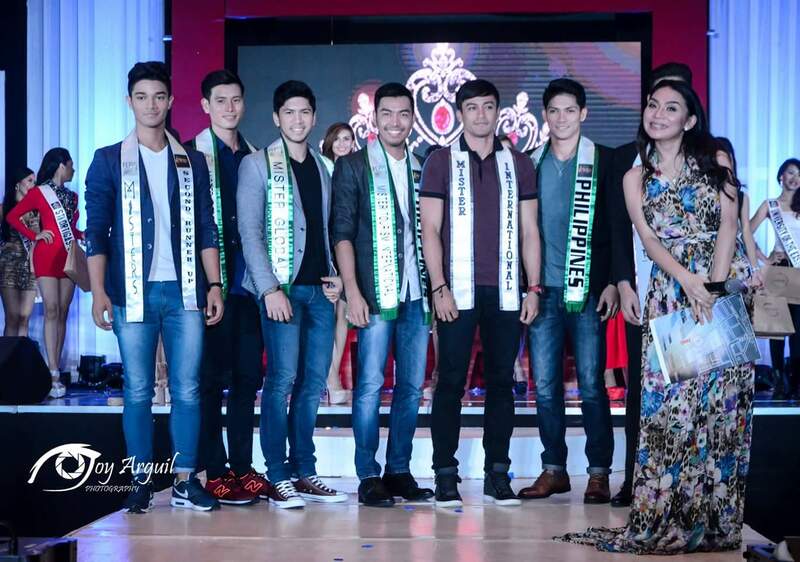 Tagged: AR dela Serna, Arcel Yambing, Carlos Ching, Don Mcgyver Cochico, Earlmond Ross Lee, Karan Singhdole, Kevin Fichera, Misters 2015 The Pageant, Reniel Villareal, Rick Palencia, Willan Pagayon. 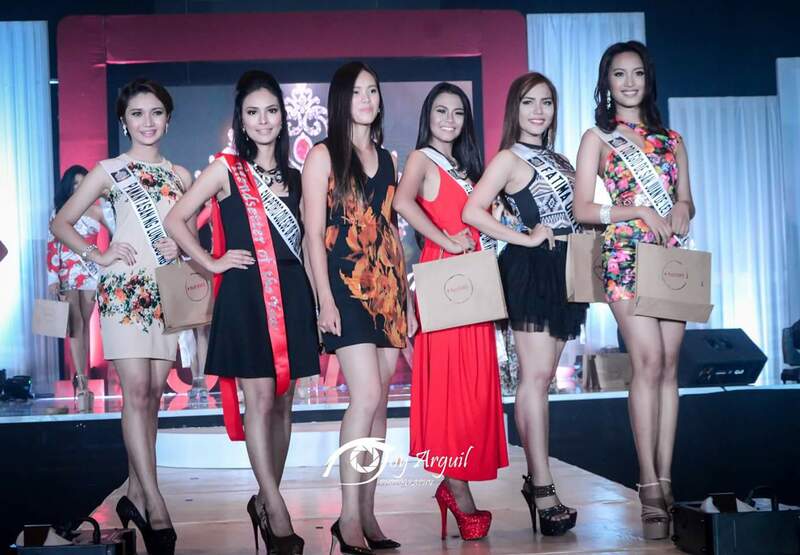 I will let pictures do most of the work in this post about my Final Predictions for Misters 2015 The Pageant. Instead of going through a long list of personal impressions about each of the candidates, I thought it best to just share the names and faces of the ones who are very likely to soar higher than the rest in tomorrow night’s finals. Truth be told, two of the possible winners appear to be foregone conclusions by now that it’s just a matter of assigning which title fits them the most. From the list of nineteen (19) candidates, trimming down to the Top Ten (10) is the cruelest thing to do. I know each one of them personally, and that makes the task extraodinarily difficult. But at the end of the day, this is still a competition and it needs to be done. And so it all comes down to this – the Misters who I predict will bring home the titles. 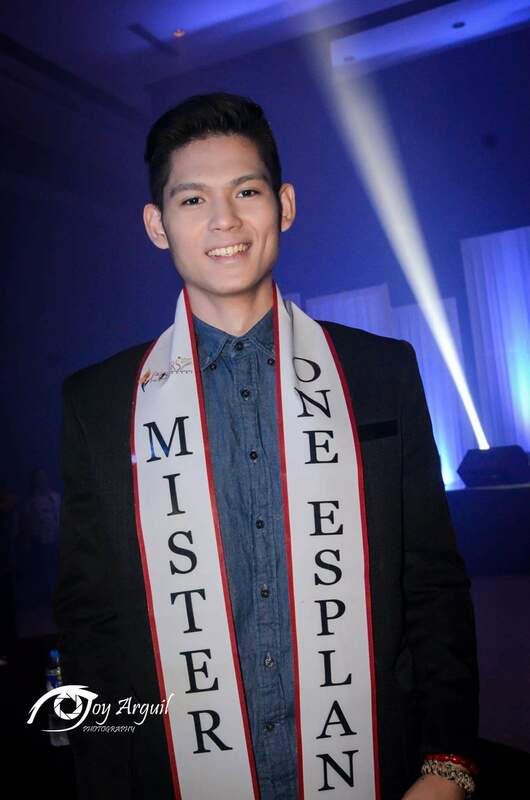 Rick Kristoffer Palencia of Tacloban City is a shoo-in for Mister International. 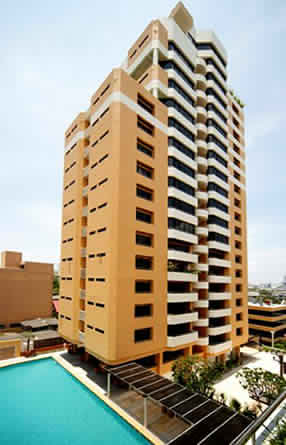 He is good-looking, intelligent and with a favorable all-around disposition as an individual. He may not be the tallest, but he makes up for this sole limitation with much abundance in other fronts. 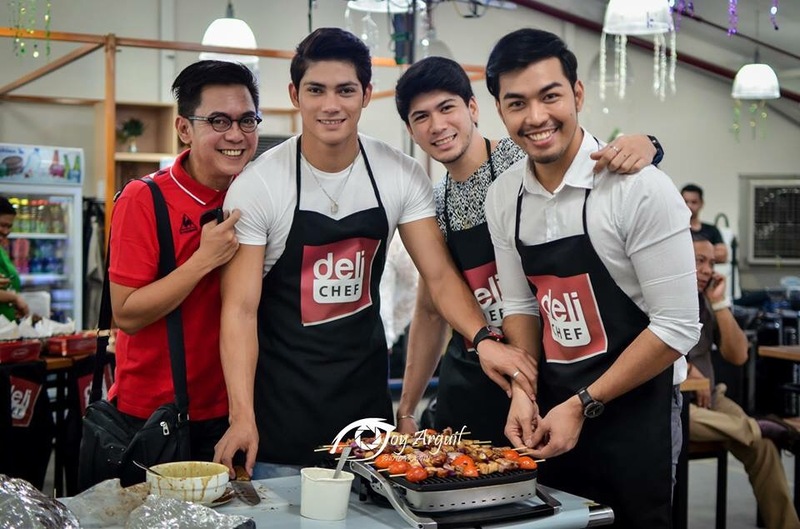 Reniel Villareal, on the other hand, could be a lock for Mister Global. His overall peg matches the profile that the Bangkok-based contest is looking for. And he has the most affectionate personality among everyone – something that will endear him even more to the Thais in general. 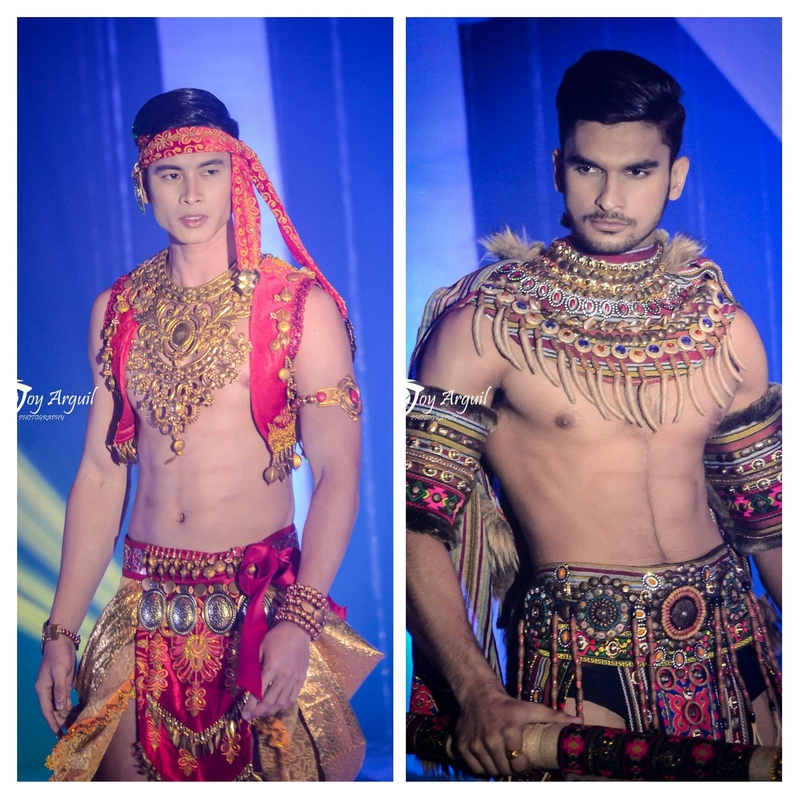 It’s toss-up between Arcel Yambing and Karan Singhdole for Mister Model International Philippines 2015, in my opinion. The two other titles are looking like tug-o-war of sorts as to who should win them. Arcel Yambing of Bacolor and Karan Singhdole of Sta. Rosa are the best runway Misters in the group and either one would make ideal reps for Mister Model International in Miami, Florida. It will all depend on who shines more when it matters most. I may be leaning a little more on the Kapampangan entry, but the Foreignoy won’t give up the fight that easily. 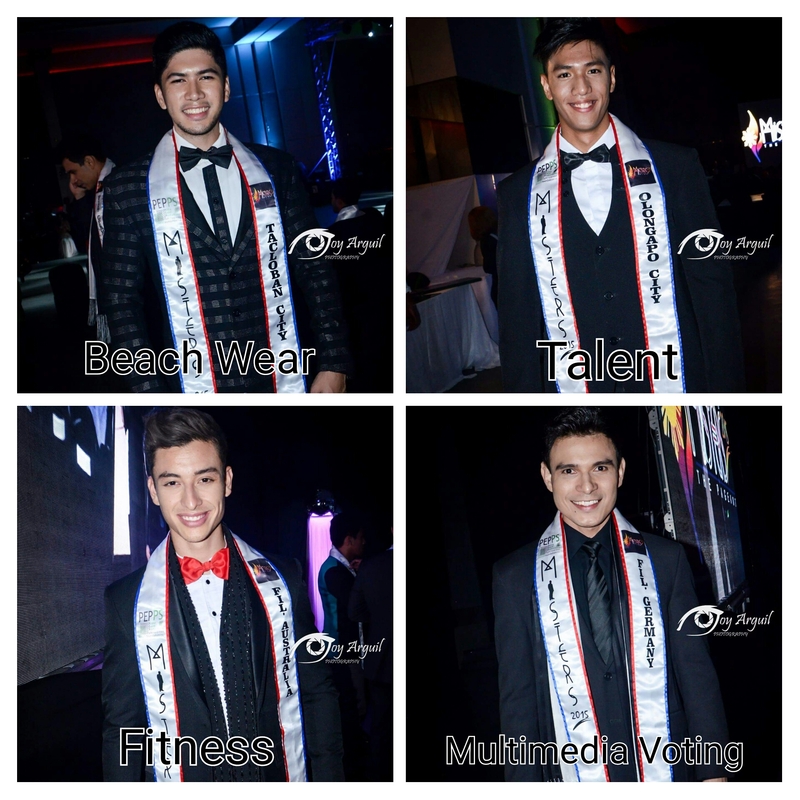 The way I see it, Kevin Fichera and Willan Pagayon will fight for Mister Tourism Philippines 2015. 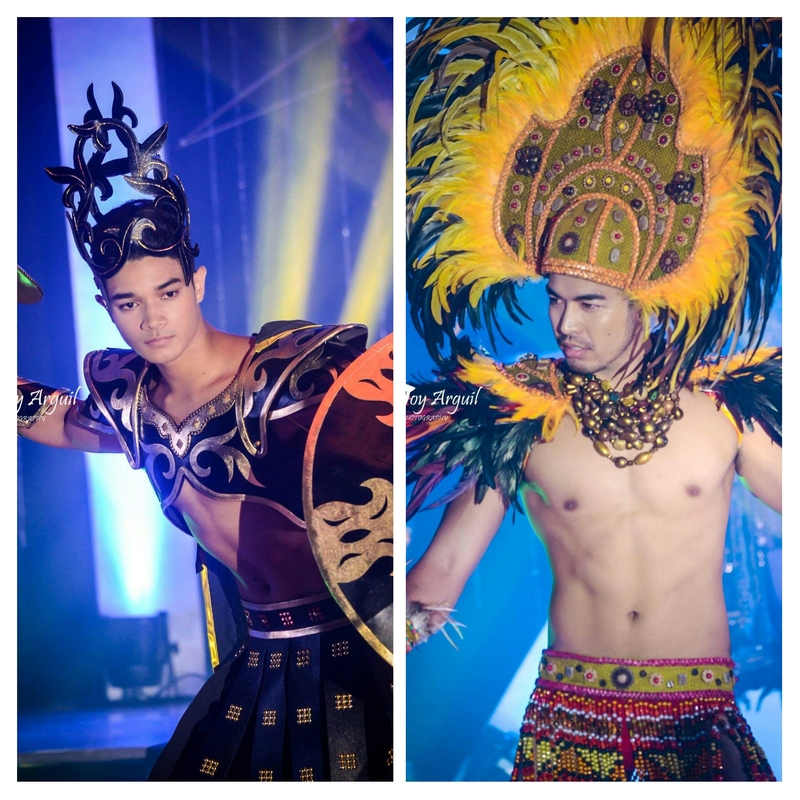 It’s a battle between one of the youngest and one of the oldest for Mister Tourism International. 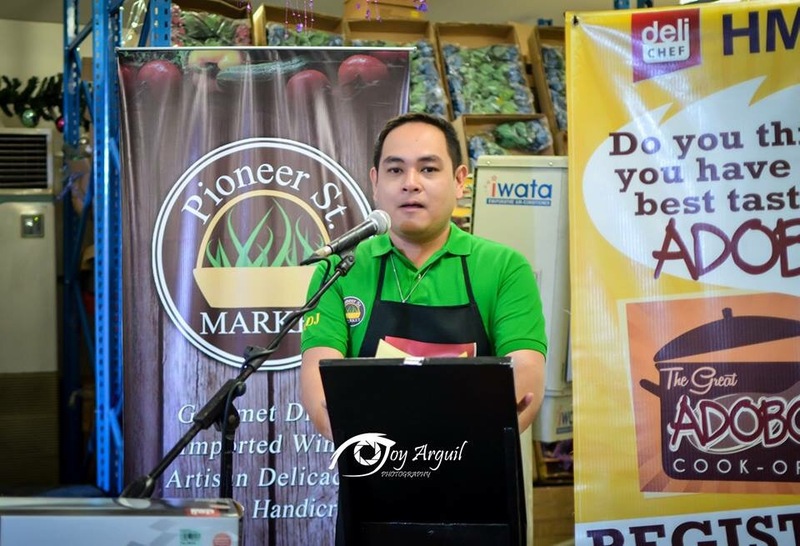 Kevin Fichera of FilComm Italy and Willan Pagayon of Iloilo City will show off their respective strengths to the judges and prove that they are truly deserving for the win. One has the gloriously budding potential, the other the experience and maturity to handle the demands of a bigger competition abroad. So who will prevail? Once more, it will be decided during the Finals’ proceedings. This one I got to see if ever. As for the runners-up, I have already eyed Don Mcgyver Cochico and AR dela Serna to occupy these two positions. They can easily take over should one of the proclaimed winners be unable to fulfill their responsibilities, and even do a good job of bannering the Philippine participation overseas should it come to that. 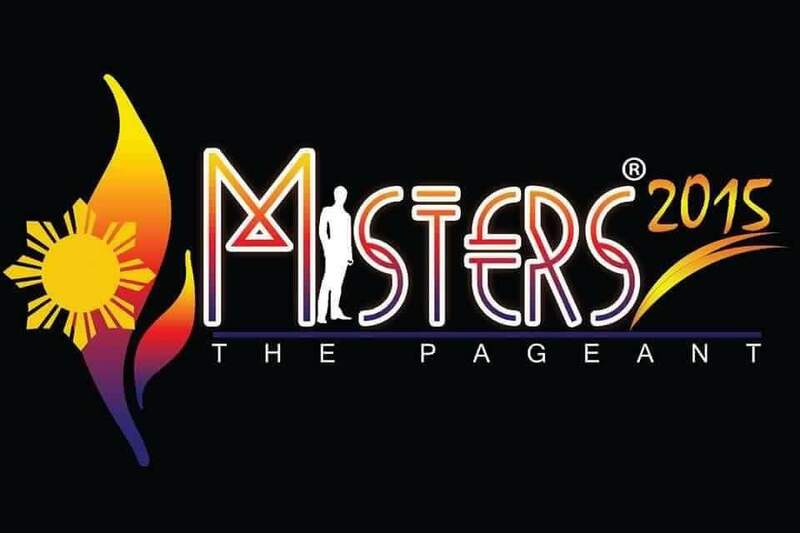 The long chapter of Misters 2015 The Pageant will reach its last two paragraphs very soon. 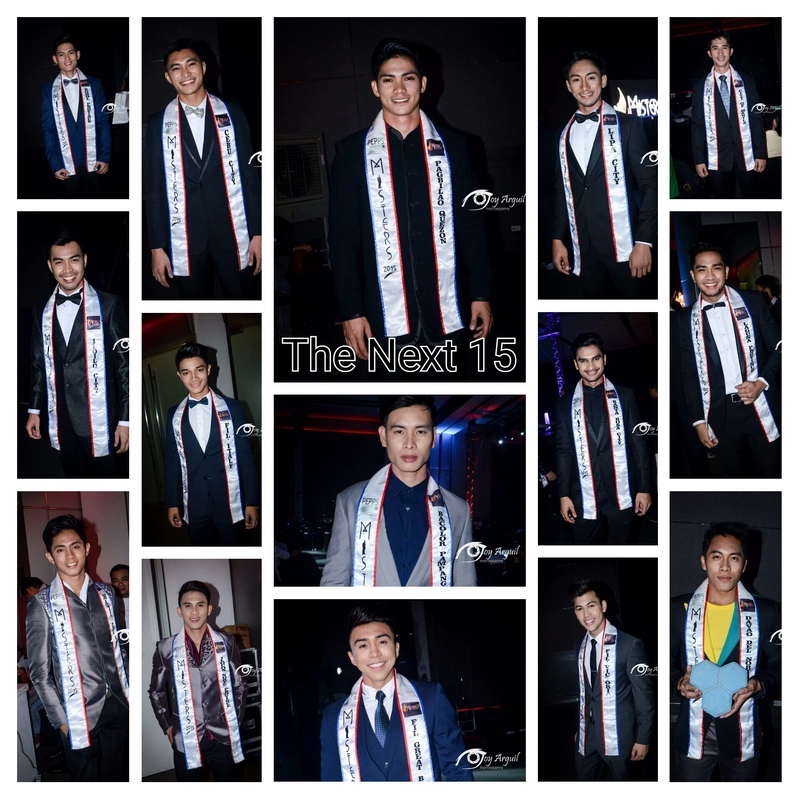 The journey will be over for most of the thirty (30) candidates as less than a third of them will be left to continue the battle for Team Philippines 2015 in male pageantry. My only wish is for all the winners to step up and fill in the role model image with fire in their hearts. The honors do not have the easiest objectives to accomplish. But they come with the recognition that will change their lives forever. Posted in: 1 Pageant Pages, 2 Shout-out-Looks. Tagged: AR dela Serna, Arcel Yambing, Church Hill Garcia, Don MacGyver Cochico, Earlmond Ross Lee, Jerome Tabayoyong, John Edgar Adajar, John Nicholo Zacarias, Karan Singhdole, Marcel Surtil, Mark Latima, Misters of Pilipinas 2015, Paolo Lester Caballero, Patrick Santos, Reniel Villareal, Rick Kristoffer Palencia, Robert Lopez, Willan Pagayon. 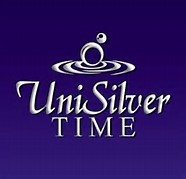 Seventeen (17) aspirants were selected by a panel (which included your blogger, Neil Perez, Joseph Doruelo, Jose Anmer Paredes, Christian Mark Galang, John & Tece Herbst of Teceruma Spa, Dr. Charlie Mendez, Rosiebeth Padua of Unisilver Time and Pawee Ventura of Missosology) to be Official Candidates of Misters of Pilipinas 2015. 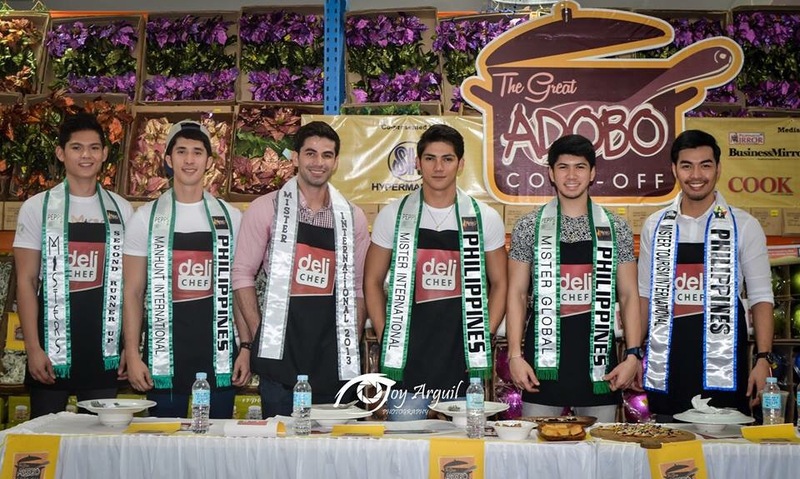 They will be joined by thirteen (13) other early qualifiers coming from the Filipino Communities abroad plus the winners of regional searches to complete the magic list of Thirty (30) who will compete for this year’s titles. From hereon now, the Misters will prepare themselves for a whirlwind of activities that will run from August 28 till the finals night set on September 13 at Resorts World Manila. I am (almost maternally) proud of this group that we have assembled because practically all of them deserve to win the titles, aside from the fact that this is a taller batch than last year’s. This early, I would suggest that you look out for each one of them. I don’t want to play favorites for now to be fair to everyone. 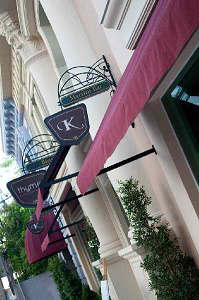 I will give them individual blog features in the upcoming days and weeks before the scheduled Press Presentation on August 30.